Used Nissan Patrol Review - 1998-2004 | What Car? 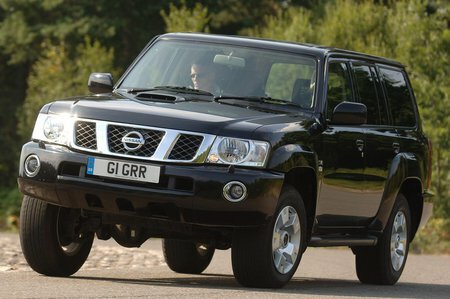 What's the used Nissan Patrol 4x4 like? Above all, the Nissan Patrol is big: the five-door model is longer than a Range Rover. Some may find that off-putting, but it at least means you get a lot of metal for your money. There's loads of room even in the three-door model, and most versions of the five-door have seven seats, with enough room for every passenger. It's one of the most spacious and practical 4x4s, and it has a certain rugged charm, even if the workmanlike interior lacks the class of, say, a Volvo XC90. The Patrol is at its best off-road, with the ability and technical features (high- and low-ratio gears, locking centre differential and so on) to climb obstacles that most drivers wouldn't even contemplate. However, things aren't so good back on terra firma. The vague steering and excessive body roll mean it's nothing like as good to drive as a BMW X5, for instance.